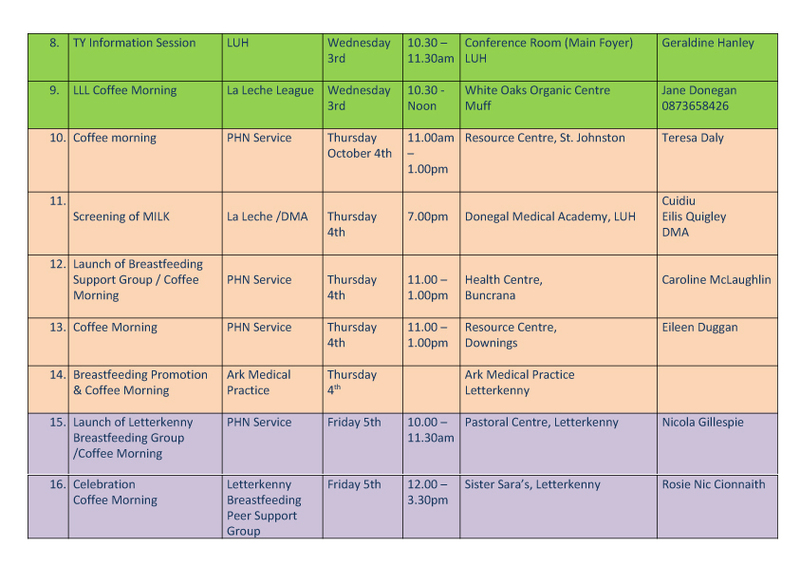 National Breastfeeding Week takes place this week, and with it comes the launch of two local support groups for mothers in Letterkenny and Buncrana. In fact, there are 15 events taking place in support of National Breastfeeding Week from 1st to 7th of October 2018. The aim of these events is to let mothers and mothers-to-be, and their families, know about the benefits of breastfeeding, how important it is for good health of baby and mother, and what supports that are available for breastfeeding mothers and their families. The Buncrana Breastfeeding Support Group will be launched on Thursday 4th October. The group meets in the Health Centre, Buncrana every Thursday between 11am and 12pm. Please telephone the Buncrana Health Clinic 0749361044 for further details. 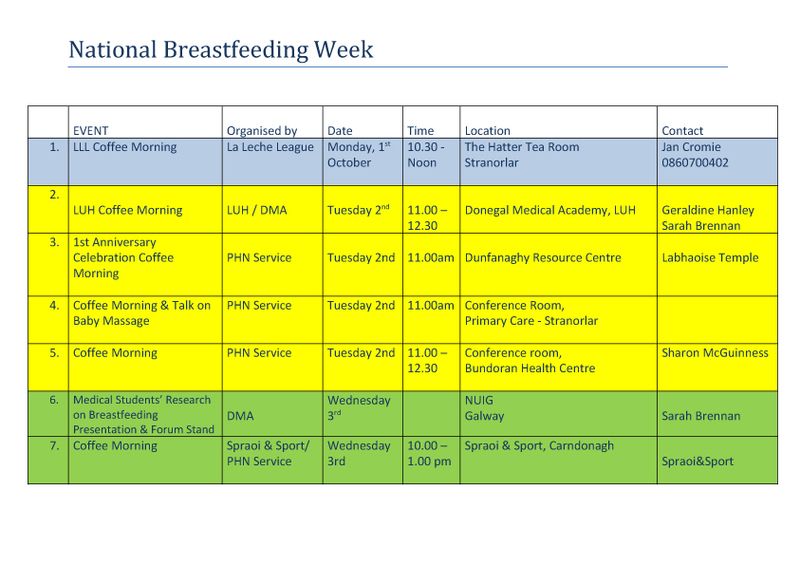 All expectant mothers considering breastfeeding and all breastfeeding mothers are welcome to attend these events. The general public are also welcome to these events in order to highlight the importance of promoting breastfeeding in the wider population. Follow ParentHub and Donegal County Childcare Committee on Facebook for more updates throughout the week.